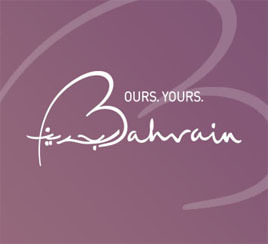 In line with its ongoing efforts to preserve Bahrain’s traditional craft and local industries, the Handicrafts Directorate of Bahrain Tourism and Exhibitions Authority (BTEA); a ceremony to distribute certificates to the participants of the ‘Silver Crafting –Level 2’ workshop participants on the March 6 2019 at Al Jasrah Handicrafts Centre. The workshop was held over 48 hours, and presented by the instructor Sharifa Al Doseri from the 3rd to 21st February, which was attended by 9 trainees, aimed to develop the participants’ skills in silver-smithing and jewelry making; as well as encourage them to take on the trade as a profession. The workshop also focused on the importance of correlating between aesthetics and function of the end products, training the students to work on more intricate designs that require more precise techniques. “We are delighted to host the second level of the “Silver Crafting” training workshop, following the immense success that was witnessed of our first workshop which was held last year. We would like to thank Instructor Sharifa Al Doseri for all her efforts in both workshops, and look forward to further collaborations in the future as part our comprehensive and integrated jewelry making multi-level programme,” revealed Mr. Yasser Al Sayyed, Head of Al Jasra Handicrafts Centre. The “Silver Crafting – Level Two” workshop comes as part of a series of training launched by the BTEA, which are offered throughout the year by expert instructors from across different fields with the aim of preserving Bahrain’s traditional industries for future generations.